NEW CHAPTER IN STORY OF TIGER 131: 6/6 -WHAT HAPPENED AT POINT 174? The tank support arrived late and, as they were operating in a supporting role, had taken up positions on a slightly lower ridge. It is possible the infantry never fully realised they were present. When the German tanks counter attacked, there would have been considerable effort by the infantry to defend themselves – whether using their own weapons or improvising with the material left behind by the Germans. As a result, the approaching armour would have been met by a hail of shot from the infantry and the supporting tanks. It would have been noisy and confusing. But the only trained anti-tank gunners in position were with the Churchill tanks – among them, those of 48 Royal Tank Regiment. Tiger 131 was hit several times, the critical shot apparently coming from a 6pdr, as fired by a Churchill tank. 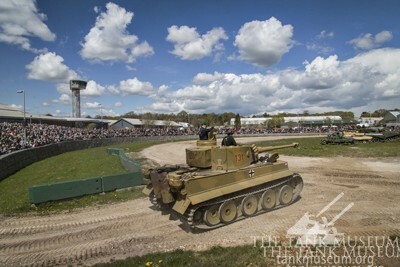 Tiger 131 in action on Tiger Day, 2016. The crew, particularly the driver and the loader, may have been wounded. 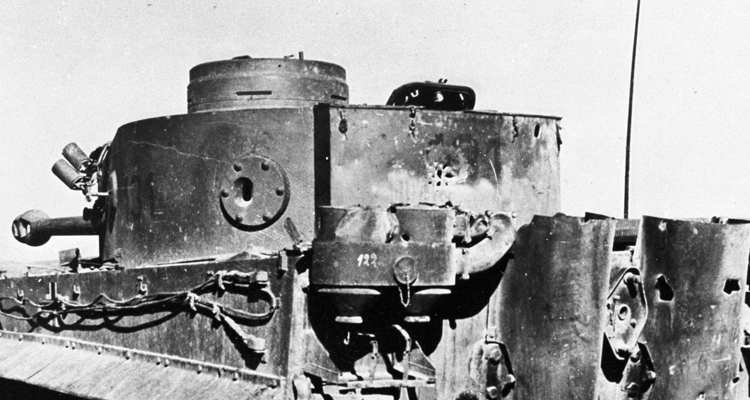 With the turret jammed and the driver probably concussed, the crew decided to abandon the tank but were possibly killed as they made off leaving it largely intact. 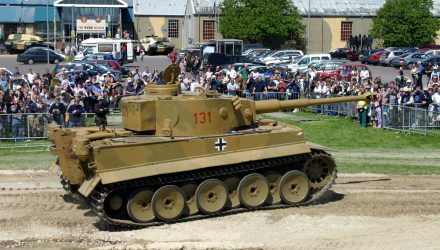 It is important to state that whilst we can now be more certain of the location and the date of Tiger 131’s disablement, and even some of the events surrounding it, the description presented above is one interpretation of the evidence. Work is continuing to attempt to pin events down here with more certainty. 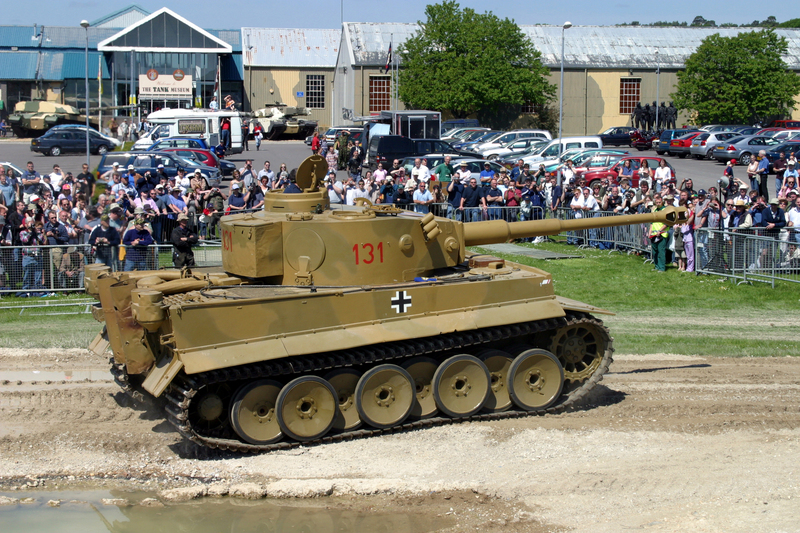 Whilst this may never be possible, it may also lead to further amendments to our understanding of the events at Point 174 – and Tiger 131’s part in the action. Even so, we can be state with certainty that despite constant bombardment from the Germans, The Foresters’ held on to Point 174 and remained on the ridge under fire for several days. In doing so they sustained heavy losses but they, with John Oscroft among them, would fight on through Italy ending their war in Palestine having suffered over 200% casualties. The Foresters’ dogged defence of Point 174 allowed Tiger 131 to be recovered in relative safety by Major Lidderdale in early May 1943. 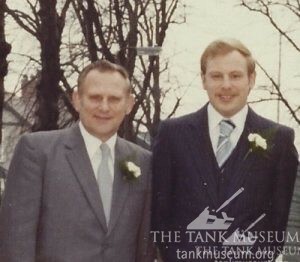 From then on, the history of the tank is well documented. But we can now add another chapter to that history, and in doing so give 2nd Sherwood Foresters the credit they are due for holding the ground on which this important prize sat. 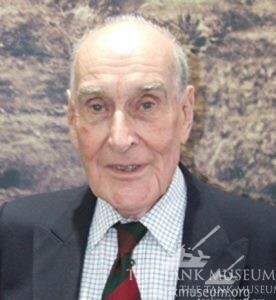 Peter Gudgin, who died in 2011, was sadly incorrect in his belief that he faced and was knocked out of his tank by Tiger 131 at Djebbel Djaffa. It is important to remember that he never claimed he was in anyway responsible for knocking Tiger 131 out – just that he was there. 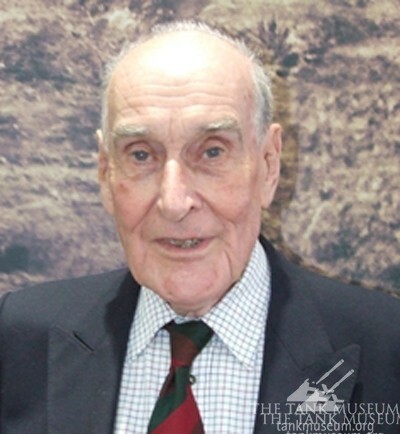 In the confusion around the events of late April 1943 – tense and testing times for every member of the British Army – he seems somehow to have confused the aftermath of the two actions he was involved in. He would not have been aided by the fact that his own regimental war diary indicates that Tiger tanks were damaged and abandoned at both Djebbel Djaffa on the 19th April and at Point 174 on 24th April. 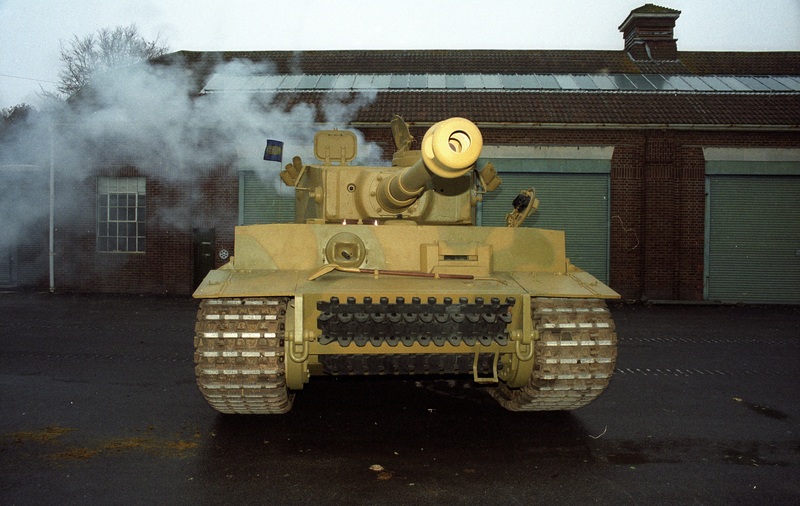 Shortly after the action at Point 174 he was invalided home to a post at the School of Tank Technology – where his work on Tiger 131 would play an important role in the future development of the tank. But the Tiger abandoned at Djebbel Djaffa is itself perhaps worthy of further research. Why was this Tiger not considered to be the ‘first to Tiger to be captured’… and what happened to it? 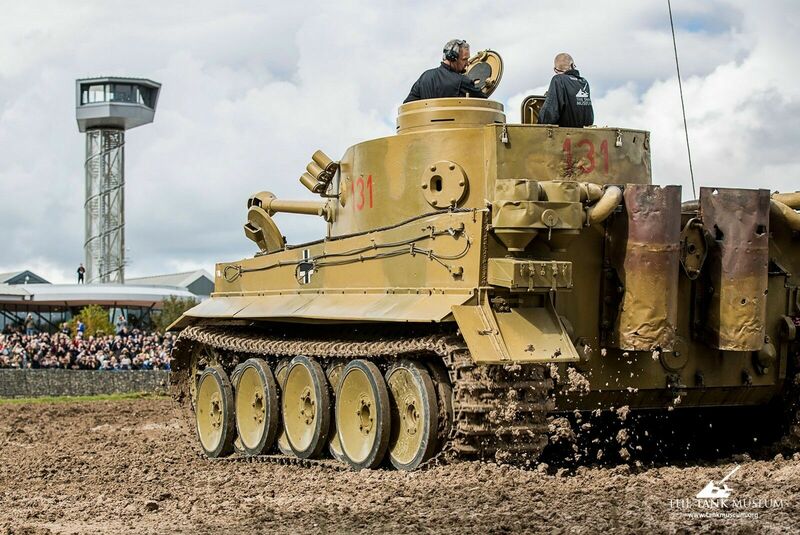 We would like to specifically thank Dale Oscroft for his work on Tiger 131. We hope his determined research, based on his father’s recollections, encourages and inspires others to question orthodoxy and do their own research to improve the way we understand our history and our artifacts. You can download read Dale’s research paper on the subject in full here. and Part V on Who Shot Tiger 131. The photographs reveal that Tiger 131 was actually moved up to the top of the hill, about 200 meters, after being found abandoned, and so it was inside the British lines, visible to the Germans. This surely didn’t make the Sherwood Foresters’ task of defending the hill any easier. New facts are still being uncovered about these actions. 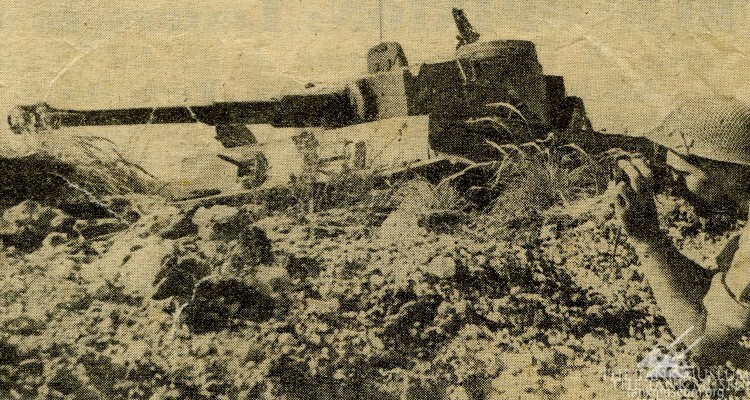 It seems likely now that Tiger 131 was actually struck and knocked out on *top* of the hill – as seen in the photo heading this article. The photos showing it lower down on the east side of the hill would therefore be taken later. It also seems increasingly likely that the Tiger captured on Djebel Jaffa is the one now in American hands, that is. Tiger “712” formerly of s.Pz.Abt.501.